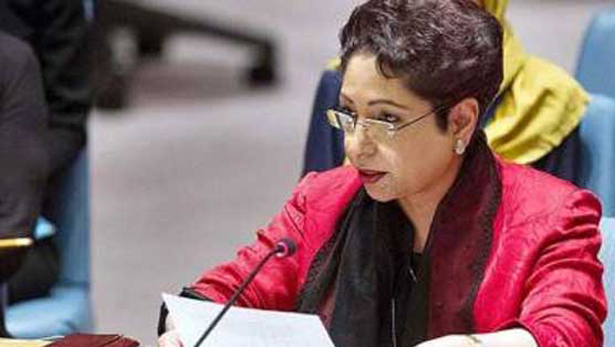 “double standards” if the right of self determination to people living under occupation—Kashmiris and Palestinians continues to be condoned and if it fails to resolve long standing disputes, Pakistani Ambassador Maleeha Lodhi has told the General Assembly. Pakistani envoy underscored the need for the world body to stop injustices being done to the peoples of Kashmir and Palestine and to honour the commitments made to them through it’s resolutions. international challenges, which she called “truly imposing”, referring to rise of xenophobia, Islamophobia, intolerance and various forms of discrimination as well as spread of terrorism.